We’re not farm to table. We’re table to farm. Farm-to-Table is great. But bringing the farm to some other table makes a hard job even harder—and it makes fresh food more expensive. The meat’s raised here. The cheese is made here, from milk that’s produced up the road at Peaked Moon Farm. That’s also where the produce will be coming from, in season. So what if we just brought the tables to the farm? They are Dave Eagle and Melanie Gregg, and they can’t decide what their titles should be. Co-Executive Chefs? Chefs de Cuisine? Execu-sous Chefs? Los Jefes? We may never know, and it will never matter. Regardless of what they’re called, they’re going to make sure y’all are well fed with fresh, from-scratch comfort food—the kind of food you’d make if you had all day to do it. Well, they’ve got all day and this is the way they want to spend it. 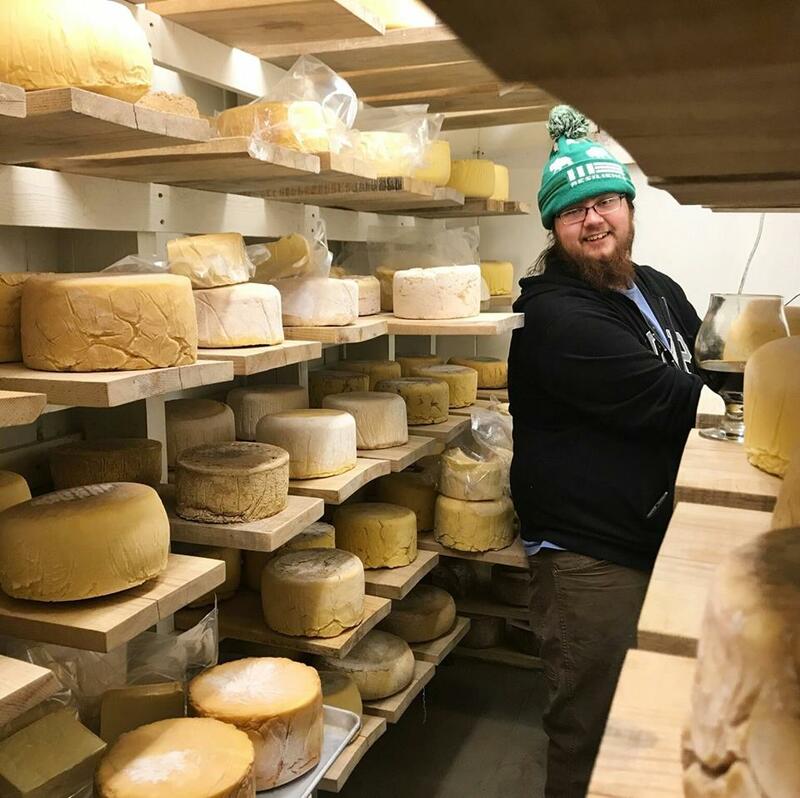 His name is David Lefebvre, and he’s pretty sure it’s pronounced “La-fave.” If you’re eating cheese at Isaac B’s, this is the guy to thank. And trust that you will want to thank him. He’s also the guy responsible for curating our craft beer menu. If you order a beer and you love it, don’t thank him. Just buy him a beer. We’re starting this business like you should start your day: with a great breakfast. Dinner service will be in full swing by Memorial Day.